The case of Abu Jhaisheh is neither new nor unique. In fact, his experience is part of a systematic campaign waged by both the Palestinian Authority (PA) and Hamas to silence their critics and deter Palestinian journalists from criticizing their leaders -- a campaign that has long been ignored by the Western mainstream media, whose representatives choose to pretend that the PA and Hamas security agencies are somehow innocent of any wrongdoing. "Failure to prosecute violators of media freedoms is not only a breach of human rights and prevents the attainment of justice, but it is also an indirect authorization to continue committing such violations." — Palestinian Center for Development and Media Freedoms. Why are these purported human rights organizations and the international community, which describe themselves as committed to protecting freedom and the rights of the Palestinian people, always silent? Palestinian journalists living and working under the Palestinian Authority (PA) in the West Bank and Hamas in the Gaza Strip continue to face huge challenges that make it almost impossible for them to operate free of pressure and intimidation. Hardly a week passes without a report about a Palestinian journalist complaining about harassment by the PA or Hamas. This harassment takes many shapes, such as being summoned for interrogation, detention and verbal abuse. The latest victim of this campaign of intimidation is Mohammed Abu Jhaisheh, a Palestinian journalist from Hebron in the West Bank, who received a summons to report for interrogation from the PA security forces in the city. Abu Jhaisheh, who hosts a radio show on a private radio station in Hebron, has announced his refusal to report for interrogation -- a move that is being hailed by some of his colleagues as "courageous." The Forum of Palestinian Journalists, a group that defends the rights of Palestinian journalists, strongly condemned the decision to summon Abu Jhaisheh for interrogation and called on the Palestinian Authority to halt its violations against the media. The forum called on the PA security forces to assume their role in "defending and safeguarding" public freedoms in Palestinian society and commended Abu Jhaisheh for his decision not to report for interrogation. It also warned that suppression of freedoms leads to "negative phenomena" among the Palestinians. Like scores of Palestinians, Abu Jhaisheh is no stranger to the PA security forces' interrogation chambers and detention centers. In July this year, he was detained for four days on suspicion of "insulting" the PA security forces by refusing to report for interrogation. He was fined $700 for tearing apart the summons he received from the PA security forces and for publishing it on social media. The case of Abu Jhaisheh is neither new nor unique. In fact, his experience is part of a systematic campaign waged by both the Palestinian Authority and Hamas to silence their critics and deter Palestinian journalists from criticizing their leaders -- a campaign that has long been ignored by the Western mainstream media, whose representatives choose to pretend that the PA and Hamas security agencies are somehow innocent of any wrongdoing. The sad state of Palestinian journalism was reflected in a survey conducted by the Palestinian Center for Development and Media Freedoms (MADA). The survey, carried out between December 15, 2017 and January 15, 2018, covered some 300 Palestinian journalists who were asked to fill out a questionnaire about their working environment, violence and violations against journalists, and the degree of independence of the Palestinian media under the PA and Hamas. "76% of the surveyed journalists believe that Palestinian media laws do not promote freedom of the press, and 73% say that these laws do not guarantee protection for journalists. 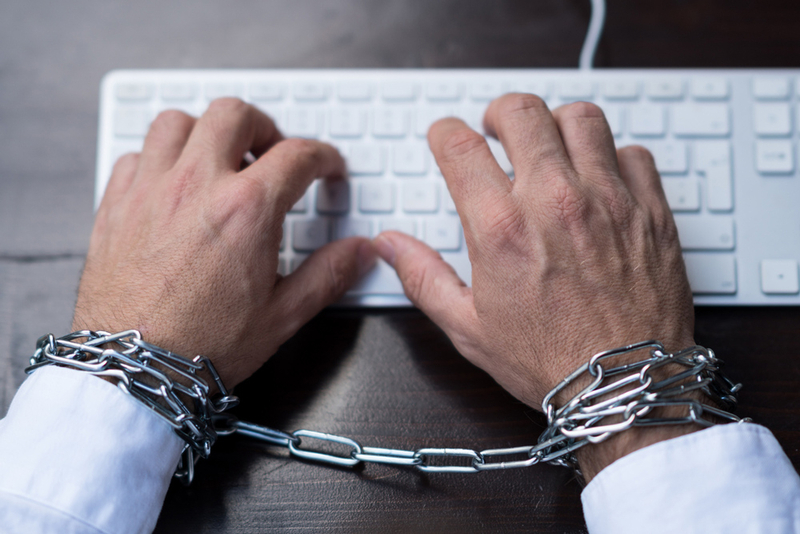 "85% believe that the controversial Palestinian Cyber Crimes Law, which was adopted by the PA in July 2017, does not promote freedom of the press. "89% said that there are legal procedures that actually prevent journalists from accessing information related to public affairs. "91% said that Palestinian journalists are subjected to violations related to their work. "83% said that there is a lack of transparency and fair means to prosecuting public authorities who violate media freedoms. "90% of the surveyed journalists said that they practice self-censorship, especially when discussing political issues, out of fear of being interrogated by Palestinian security agencies. "89% of the journalists said that they practiced self-censorship out of fear of societal pressure or public scrutiny. "83% believe that the Palestinian media is not independent; 97% believe that it is influenced by political and partisan biases, while 87% believe that it is influenced by the interests of the private sector. "92% said there is mismanagement on the part of media organizations that negatively affects the level of professionalism." "As the results of this survey show, the [Palestinian] media suffers from lack of independence and lack of sufficient protection for journalists," MADA concluded in its report about the survey. "Failure to prosecute violators of media freedoms is not only a breach of human rights and prevents the attainment of justice, but it is also an indirect authorization to continue committing such violations." However, the failure to hold accountable those who are violating media freedoms in the West Bank and Gaza Strip (namely, the Palestinian Authority and Hamas) is not the only factor behind the longstanding trespasses. The failure of the international community, specifically human rights organizations and Western journalists, to take any interest in the plight of Palestinian journalists also gives the PA and Hamas a free pass to continue harassing and intimidating reporters. The survey, as well as the ongoing security measures against Palestinian journalists, show that the Palestinians still have a long way to go towards establishing democracy, accountability and transparency. There is only one type of "free media" that Palestinian leaders are willing to tolerate: it is a media that denounces Israel around the clock while turning a blind eye to financial corruption and mismanagement under the regimes of the Palestinian Authority and Hamas. Without more full and open backing, Palestinian journalists are not able to face the threats and pressures practiced by their leaders in the West Bank and Gaza Strip. Why are these purported human rights organizations and the international community, which describe themselves as committed to protecting freedom and the rights of the Palestinian people, always silent? Khaled Abu Toameh, an award-winning journalist, is based in Jerusalem. What else would anyone expect? Fatah, Hamas, etc are thieves, murderers, and terrorists. Their rule is tyranny imposed by force, and they can be expected to control news, education, entertainment, etc. to their benefit. Nor, would it be any different if they were given an internationally recognized state. Press censorship is practiced in the UK. The facts of a story such as this will have been picked up by every major news organisation in Britain. If that were not the case their sources would be clearly completely incompetent. Why therefore is this story and others like it not loudly and clearly publicised in the British media? Has the author of this article or the Gatestone Institute made any attempt to achieve this? Would The Daily Mail or The Telegraph not be interested in publishing it or is there a copyright problem? What about Nick Ferrari or Nigel Farage on LBC? I am absolutely sick of the Palestine Authority and its organisation being portrayed as the victims in their ongoing terrorist activities against the nation of Israel. Very strong article - as always. Freedom of speech, and freedom of the press, is the most important foundation to make it possible to have free and just societies. After world media chose to ignore all evidence that tyrant strongman Erdogan staged a phony coup d'etat to consolidate his grip on power by purging Turkey of all his critics, would anyone who can think critically expect Abbas to be any more tolerant? I am afraid that the Western press is currently riddled with double standards, and if it was not for the internet, these abuses would never be highlighted in Europe. Keep up the good work, as you continually highlight issues that never see the light of day in our newspapers. You don't have a free press? Neither do we in W. Europe! Sadly, the only true free press is in the United States, and they are under attack by the big tech companies and the left! Any country that has hate speech laws, can not have free speech or a free press! Journalists on the left are just as guilty of suppressing free journalists as the governments they support. If you think that this lack of freedom and imposition of hard-core Islam is bad for Gaza reporters, it is worse for Israelis who must deal with endless propaganda, terrorism, war, intransigence; incendiary kites burning farmland, terror tunnels, terror groups joining hands with empty-headed and antisemitic leftists in the West, large amounts of aid and charity going to terrorism, and an entire generation taught to never question the inhumanity, the fake narrative and the violent beliefs of the Islamic terror industry. This is the result of the PA is simply doing what many Muslim controlled countries do and preventing any criticism whatsoever. We have a completely different approach by Western media whereby, the majority of journalists tow the political line and deliberately don't report certain things that Muslims are involved with. This approach is apparently "for the greater good". What is meant by "the greater good" I don't know because it certainly doesn't do a thing to protect ordinary citizens in the West from Muslim terror attacks! Hello Khaled! You expect freedom of the press where Islamic terror reigns supreme? Why? Abu Toameh is very courageous, often criticizing the PA and Hamas. But note that he does so from the safety of Jerusalem. He is protected by the Jewish state. It's time liberal westerners realized this fact, that there is little freedom of speech in the PA and Hamas-run areas, but only in the Jewish state, when it comes to the Middle East. The liberals like BDS are protecting this fascist leadership at the expense of freedom-loving "Palestinians". It's past time they get their ideologies and priorities straight. FREE BIRAM OULD DAH OULD ABEID! 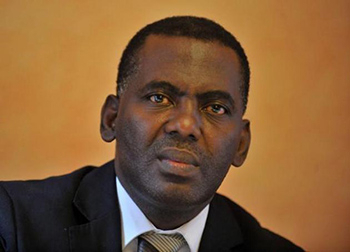 Biram Ould Dah Ould Abeid, a prominent activist against the widespread slavery in Mauritania, was jailed in January 2015 alongside two other activists. He was arrested during an anti-slavery protest and sentenced by a Mauritanian court to two years in prison, convicted of "belonging to an illegal organization, leading an unauthorized rally, and violence against the police."